Skies turned temporarily red in Alexander Bay, South Africa, as a thick plume of dust blew through the town on October 21, 2018. 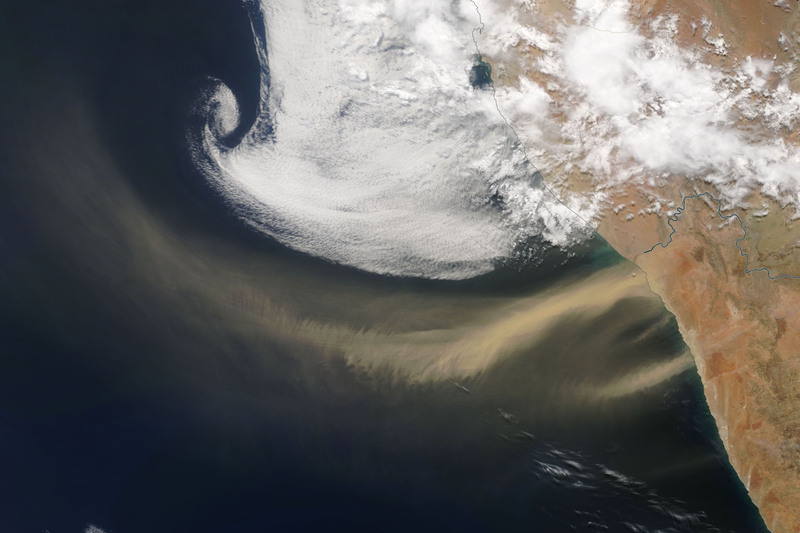 The Moderate Resolution Imaging Spectroradiometer (MODIS) on NASA’s Terra satellite captured this natural-color image that morning as northeasterly winds swept through the region. 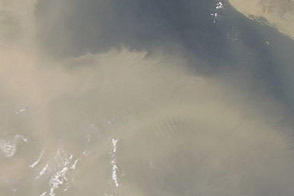 Lengthy dust plumes were also stirred up in this area on October 20. 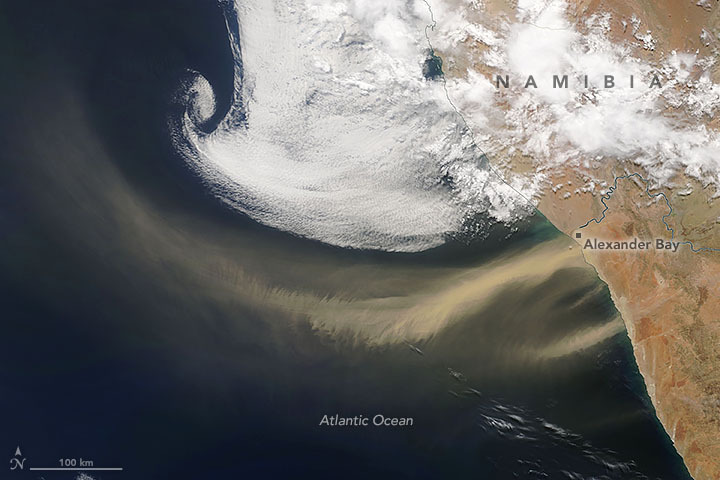 A low-pressure system situated off the south coast of Namibia fueled the winds, according to AfricaWeather meteorologist Alan Morrison. The South African (2018, October 21) Watch: Sky turns red as huge dust storm engulfs Alexander Bay. Accessed October 22, 2018.